A few inspired words for you to bring home. Imagine. Imagine. Imagine living beyond fabulous. NOW! Enjoy your morning tea with a few inspired words. You've got this! Original artwork by Tiffany Windsor for Soulabrate Life. Um, hello! Life is meant to be lived spirited! Nothing can hold you down, oh spirited one! R-A-W-R-R-R!! And a little twirl will probably help everyone know that you are spirited! Original artwork by Tiffany Windsor for Soulabrate Life. 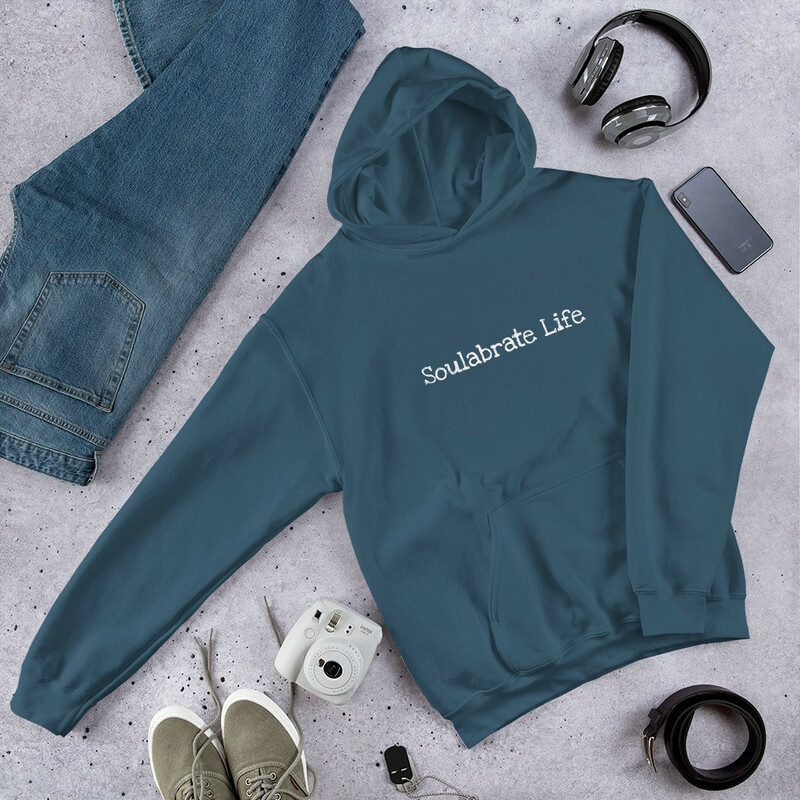 Women’s short sleeve t-shirt, tank top, sweatshirt and hoodie available in lots and lots of colors with WHITE or BLACK screen-printed lettering. Fill your morning prayer time with gratitude and a cup of hot tea. Simple black lettering on mug. Artwork by Tiffany Windsor for Soulabrate Life. Let the world know that you are a Healing Life Wisdom fan! Enjoy sipping your morning tea in 11 oz or 15 oz personalized mug. It's time for a new start. Come be reborn. Open up to leaving the old behind and choose to be reborn. We’re thinking a cup of hot chocolate is in order. Original artwork by Tiffany Windsor for Soulabrate Life. Can you feel it. We see the roots firmly planting themselves and the buds starting to emerge. It's time to BLOOM! Original artwork by Tiffany Windsor for Soulabrate Life. Pretty and simple tee with a statement of faith. White tee with black lettering. Artwork by Tiffany Windsor for Soulabrate Life. Wear the wisdom! This life tee is available in different styles and sizes in white only at this time. Healing Life Wisdom - Keep the discussion going! If you're happy and you know it, share some! Everyone can use more happiness! Be the happiest you can be! Original artwork by Tiffany Windsor for Soulabrate Life. It's OK to come undone. Breathe. Get Repaired. And yes, we know, sometimes we have to repeat the steps. You’ve got this! Original artwork by Tiffany Windsor for Soulabrate Life. Tote around some wisdom! Share that you are a Healing Life Wisdom fan with this cute tote! Fill it with your healthy goodies and other necessities.